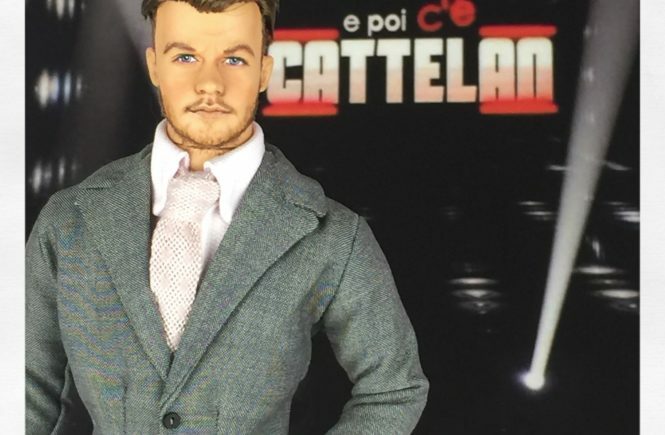 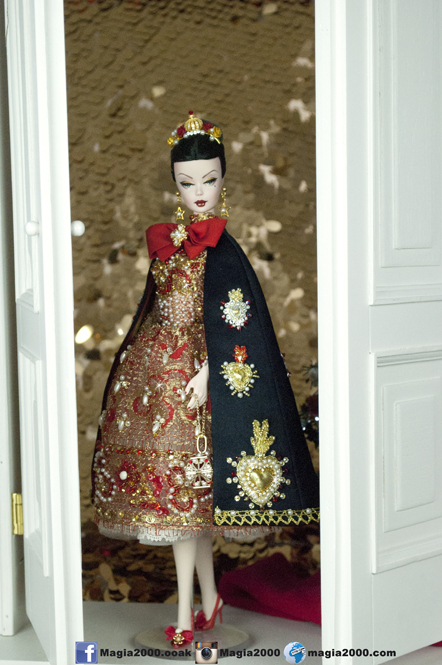 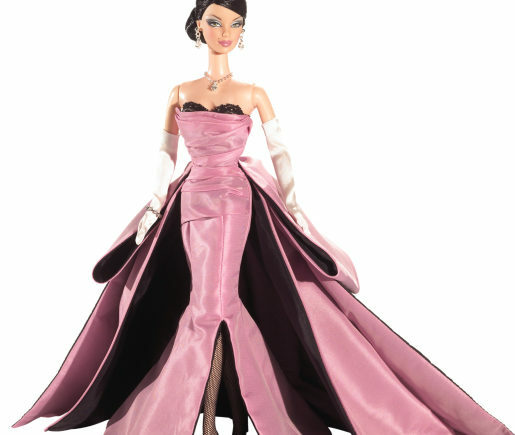 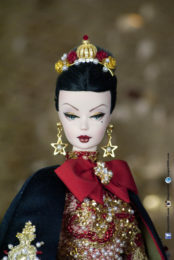 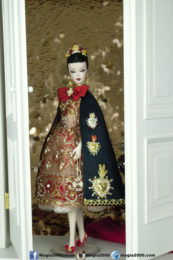 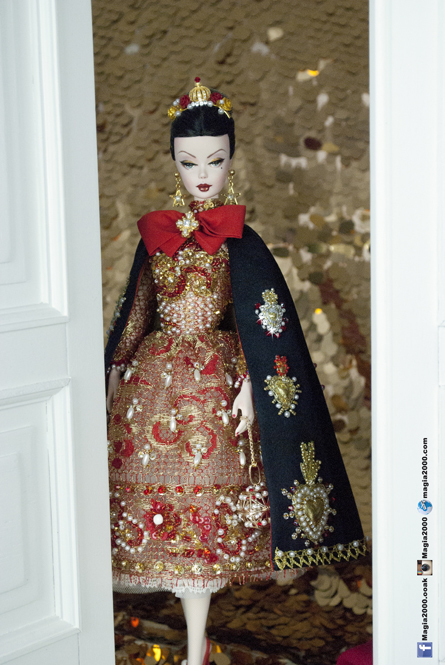 Inspired to the modern couture, here is a very spectacular Magia2000 doll ready to attend the annual premiere at La Scala theatre in Milan. 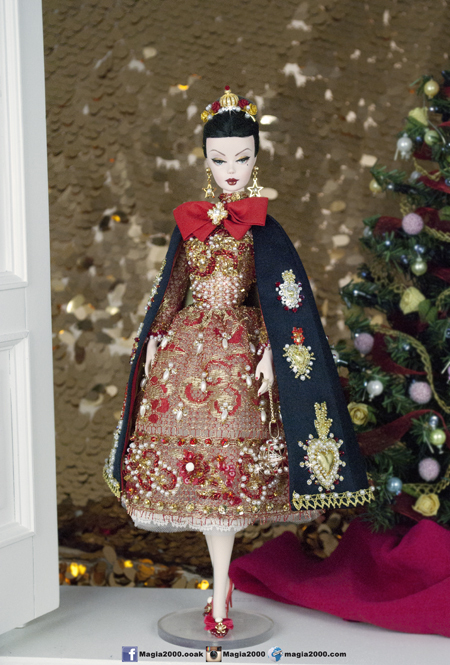 She is perfect in her couture and fully handembroidered dress and cape. 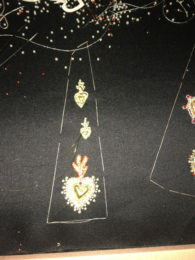 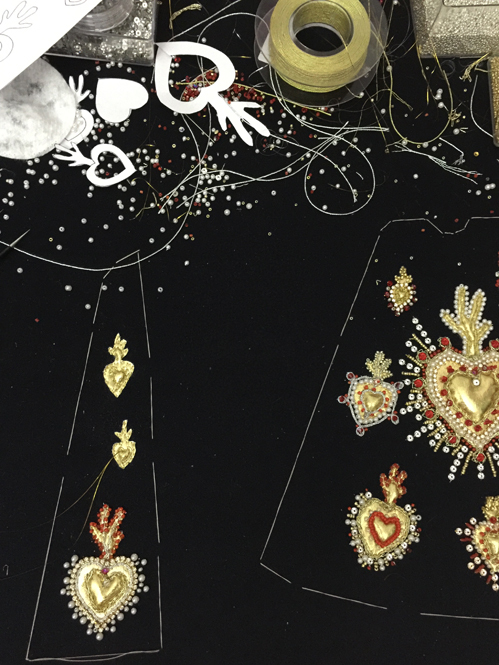 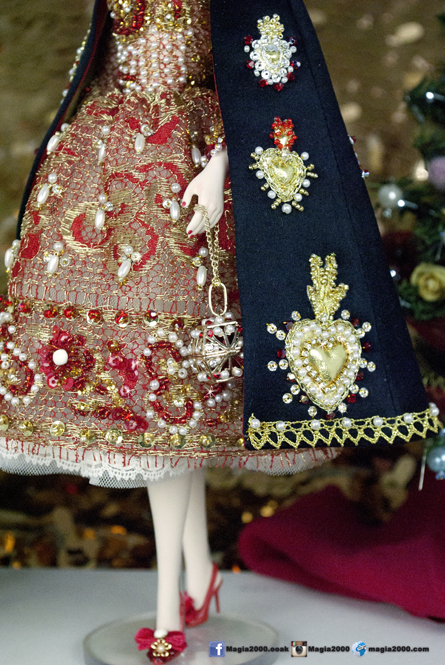 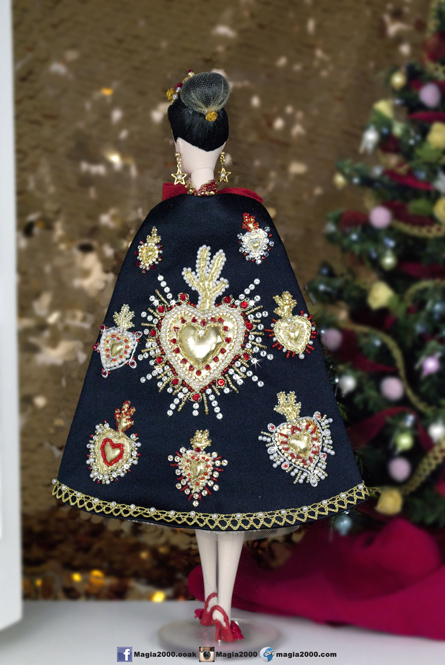 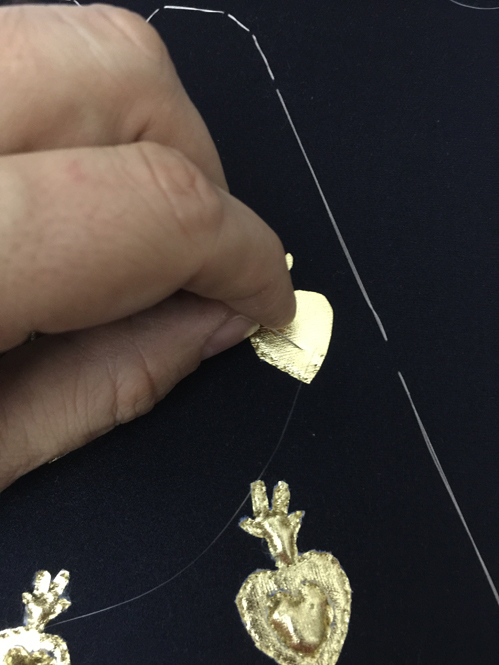 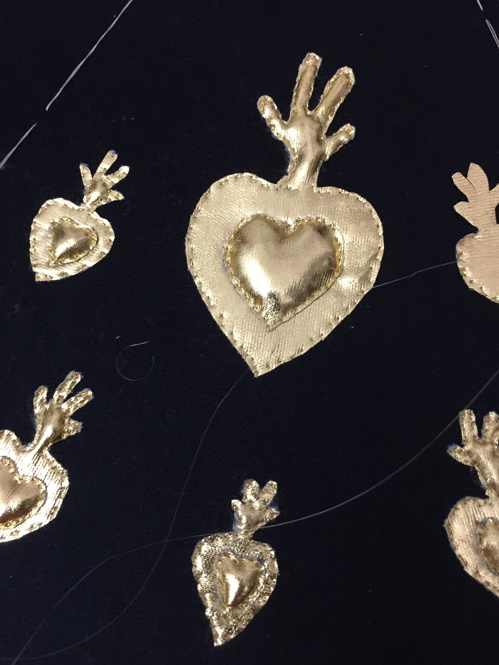 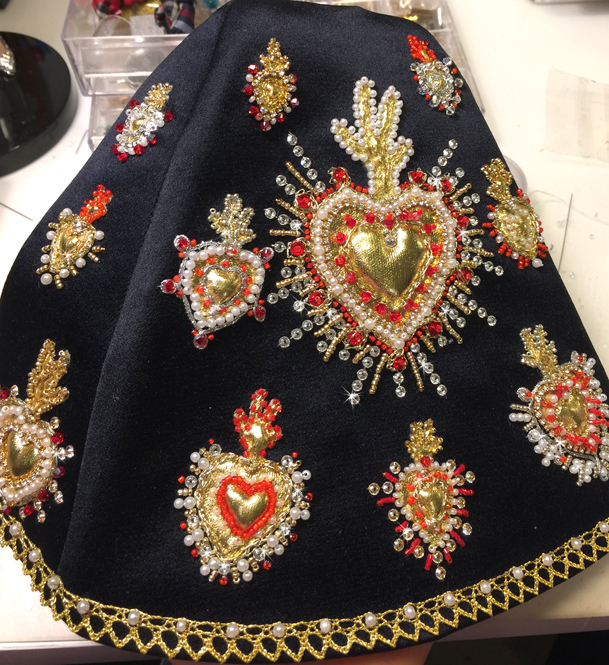 The cape has been fully hand embroidered with sacred heart motifs, manually created with gold syntethic leather and tons of different materials, from real Swarovski crystal to pealrs, genuine rhinestones, sequins and beads and every heart is different, to enrich the handcrafted job. The cape is fully lined. She wears a French lace short dress with tons of handenbroidered flowers and tiny drops, handbeabed manually by Magia2000. 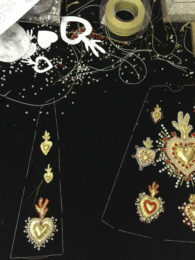 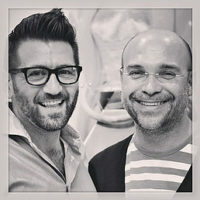 Accessories like custom shoes with real Swarovski crystals and velvet ribbon, or bag has been manually decorated with pearls and crystals. Earrings and hairband has been created manually with different materials. Stockings, underwear and underskirt in fine tulle with lace trim complete the set. 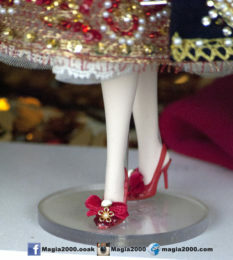 The all set is not removable from the doll.